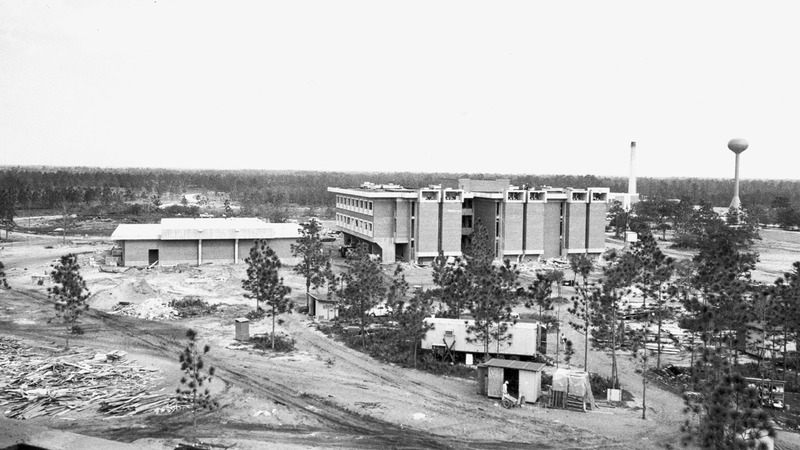 Fifty years ago, Central Florida changed forever when UCF — then known as Florida Technological University — opened for classes on October 7, 1968. During a morning convocation and dedication ceremony, President Charles Millican welcomed 1,948 students who became responsible for upholding the university’s motto of “Reach for the Stars.” These students would pursue studies to fulfill the region’s high demand for scientists, engineers, business professionals and teachers. 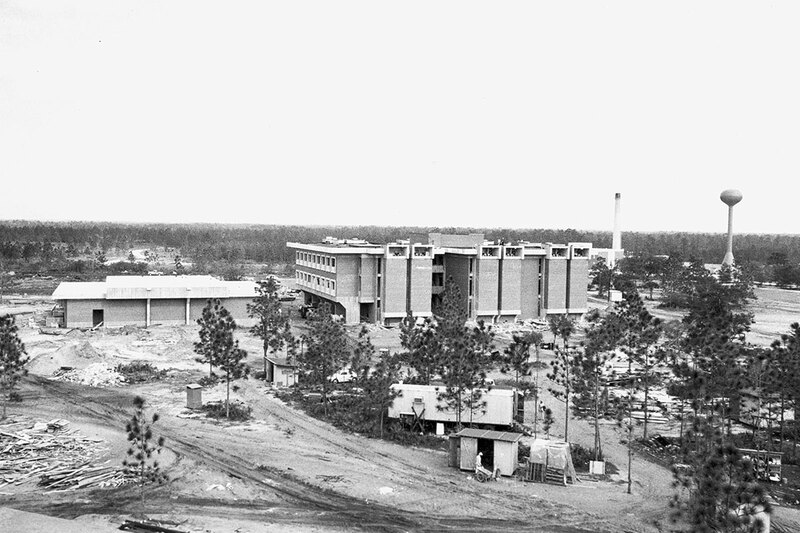 What is now the chemistry building was one of the first buildings on campus in 1968. 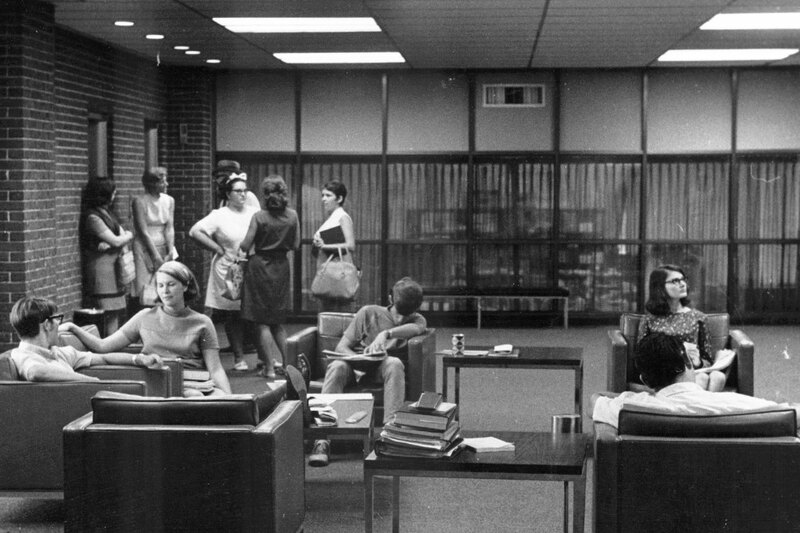 Even from the university’s beginning the library was a popular spot for students to hang out with friends and study. Instructors taught the first classes. Today, UCF has more than 12,500 faculty and staff members. Degree programs offered. Today, students can select from more than 215 degree programs. 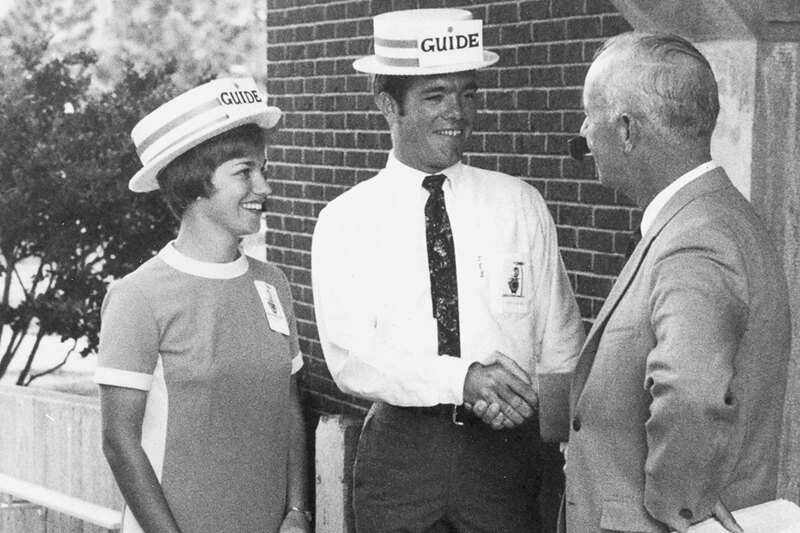 Two student guides wear the university’s first mascot, Citronaut, as they are greeted by Charles Millican, UCF’s founding president. More than 2,000 people attended the university’s first convocation ceremony, which was held outdoors. 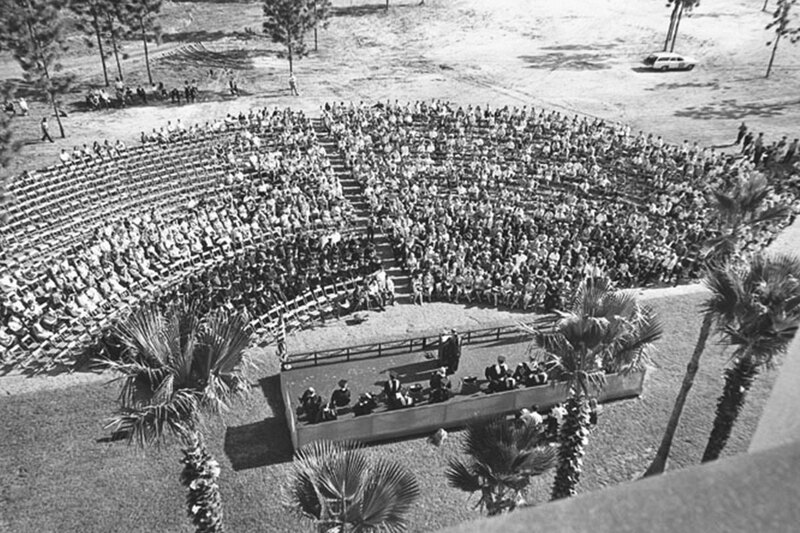 Students today attend a similar ceremony, known as the Knighting, inside CFE Arena.